Oxidative stress is implicated in the development of muscle pain, weakness and fatigue, and occurs as a result of an imbalance between reactive oxygen species (ROS) and antioxidant defences. 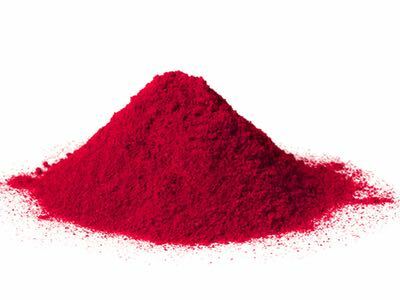 Natural astaxanthin from the alga Haematoccus pluvialis is a highly concentrated and potent antioxidant. 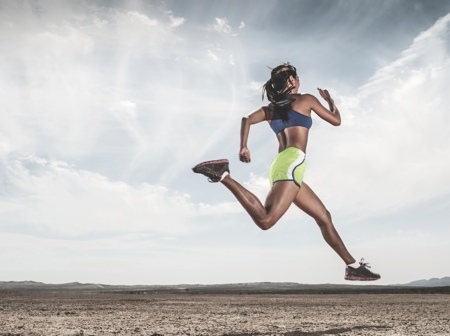 Results from both human and model studies show that astaxanthin increases muscle endurance, lowers lactic acid and may also prevent muscle atrophy with ageing. The effects of astaxanthin on muscle health are attributed to its ability to protect membranes from oxidation, thereby enhancing mitochondrial function, reducing inflammation and reducing muscle damage. 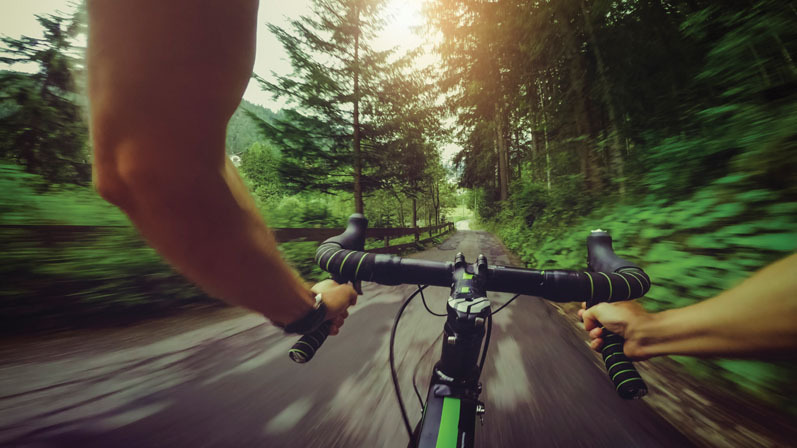 Strong, healthy muscles play a vital role in achieving an active and healthy lifestyle, which can be supported and improved through the use of astaxanthin. 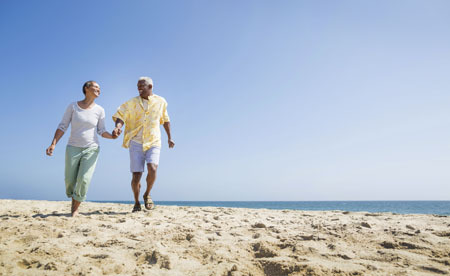 A randomised, double-blind study has shown that astaxanthin increases muscle endurance.10 In a study of 42 healthy men supplemented with 4mg of astaxanthin per day for six months undertaking standardised exercise tests, it was demonstrated that the average number of squats (knee bends) performed increased only in the astaxanthin treated group at three months; after six months, significant improvements were observed (Figure 3). In addition, Sawaki et al. demonstrated that a daily astaxanthin dose of 6mg per day for four weeks resulted in lower levels of lactic acid during a 1200-metre sprint (Figure 4).11 The formation of lactic acid is a result of insufficient oxygen reaching the muscles, which leads to fatigue; as such, decreased levels of lactic acid improve endurance. After 5 minutes of rest, the participants then began a 20km time trial. The overall results showed significant improvements, with the astaxanthin group reducing their times on average by 121 seconds; the placebo group showed no significant change. A notable increase in power output in the astaxanthin group was also recorded. 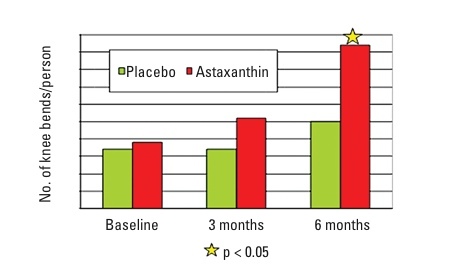 The effect of astaxanthin on muscle endurance is further supported by studies on mice. Ikeuchi et al. 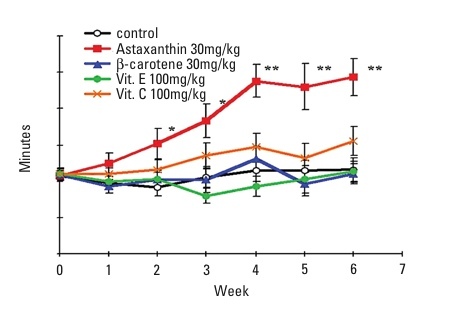 found that mice supplemented with astaxanthin for five weeks could swim for a significantly longer time before exhaustion compared with the placebo group and those supplemented with other antioxidants (Figure 5).13 In the astaxanthin group, blood lactate concentrations were significantly lower than in the control group. Meanwhile, muscle and liver glycogen were higher in the astaxanthin group. These results were reinforced by another study by Aoi et al., which demonstrated comparable results.14 When comparing endurance (running), the total time taken to reach exhaustion for the mice in the astaxanthin group was notably longer than those within the control group. 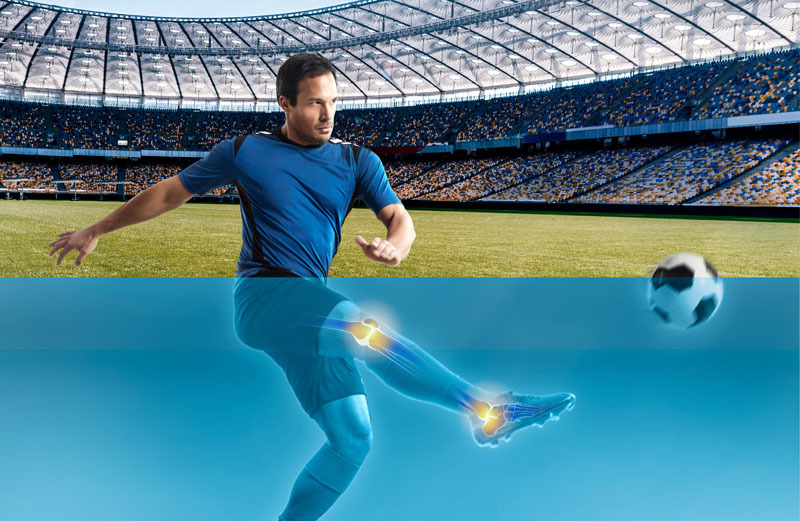 Furthermore, plasma lactate was significantly increased in the control group as a result of exercising, whereas astaxanthin was shown to inhibit the increase of plasma lactate levels. 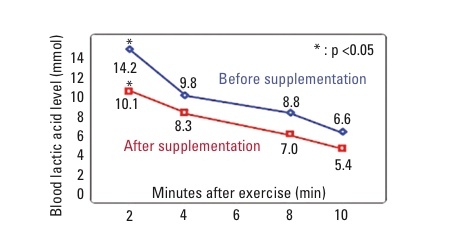 Additionally, astaxanthin increased muscle glycogen and increased fat utilisation (Figure 6). Better fat utilisation during exercise contributes to reduced levels of lactic acid, and also helps with weight loss. A randomised, double-blind study on humans has confirmed that natural astaxanthin increases fat utilisation during exercise.15 In the study, 32 individuals were supplemented with 2 x 6mg of astaxanthin per day, or placebo, for six weeks. The participants were instructed to undertake 40 minutes of continuous exercise three times per week during the 6-week period. After six weeks, the astaxanthin group had a significant reduction in body fat percentage, whereas there was no difference in the placebo group. These results indicate that astaxanthin increases muscle endurance and reduces lactic acid during intensive training by promoting the use of fat compared with glycogen stores. In the study, a total of 30 healthy subjects received 0 (placebo), 6 or 12mg of astaxanthin per day during a 12-week period. In the supplemented subjects, both blood plasma and red blood cells showed increased concentrations of astaxanthin. 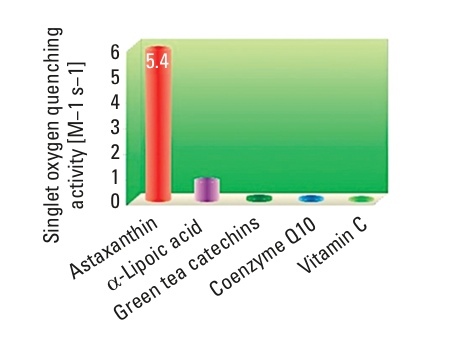 The cell membrane oxidation of RBCs was significantly reduced for both the 6 and 12mg astaxanthin groups compared with that of the placebo group (Figure 7). Furthermore, Wolf et al. 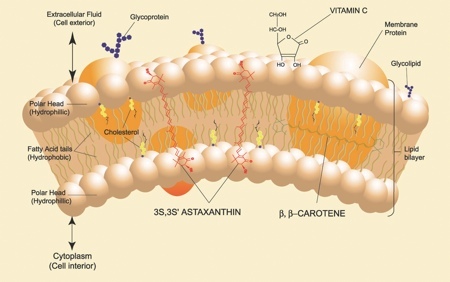 demonstrated that astaxanthin stimulates mitochondrial respiration by maintaining a higher membrane diffusion rate, allowing increased oxygen uptake, and improves energy availability to muscles.18 These results indicate that astaxanthin boosts aerobic power by increasing oxygen transportation to muscles and enhancing the capacity of mitochondria. Not only does astaxanthin protect mitochondria and red blood cells from oxidation, it also protects muscle cells from damage. In a study on mice, it was found that exercise increased oxidation and inflammation in muscles; however, supplementation with natural astaxanthin was shown to significantly lower muscle damage (Figure 8).19 The anti-inflammatory effect of astaxanthin has further been demonstrated by Park et al. 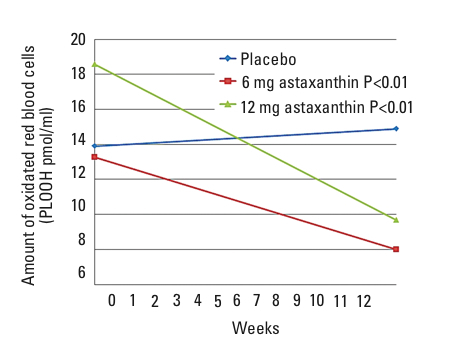 in a human study.20 In the randomised, double-blind, placebo-controlled study, 42 subjects were supplemented with 0 (placebo), 2 or 8mg of astaxanthin for an 8-week period. The groups treated with astaxanthin had significantly reduced DNA damage as a result of oxidation and plasma C-reactive protein. According to these results, astaxanthin may lower muscle pain, stiffness and fatigue by reducing inflammation and oxidation in muscles. There is growing interest in the power of natural astaxanthin among researchers, and new findings about muscle health and endurance are constantly being published. 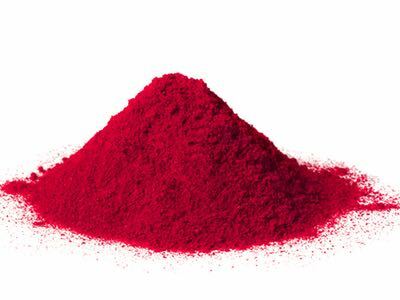 So far, the research on astaxanthin shows impressive results for muscle health and endurance, owing to its ability to protect cells and membranes from oxidative damage. The results indicate that natural astaxanthin improves muscle endurance and lowers lactic acid by improving fat utilisation, mitochondrial function and by reducing the oxidation of red blood cells and muscle damage. In addition, studies demonstrate that astaxanthin decreases inflammation, which may reduce muscle pain and potentially prevent muscle atrophy. The effects of astaxanthin have wide appeal as we increasingly recognise the importance of strong, healthy muscles in achieving an active lifestyle and a good quality of life. 1. J. Finaud, G. Lac and E. Filaire, Sports Med. 36(4), 327–358 (2006). 2. Y. Tian, et al., Eur. J. Appl. Physiol. 110, 971–976 (2010). 3. R.D. Semba, F. Lauretani and L. Ferrucci, Arch. Biochem. Biophys. 458(2), 141–145 (2007). 4. C. Berzosa, et al., Eur. J. Appl. Physiol. 28(10), 1047–1056 (2010). 5. J. Brzeszczynska, et al., Appl. Physiol. Nutr. Metab. 33(6), 1223–1231 (2008). 6. S. Goto, et al., Biochim. Biophysica. Acta 1512, 251–258 (2001). 7. Y. Nishida, E. Yamashita and W. Miki, Carotenoid Science 11, 16–20 (2007). 8. W. Miki, Pure Appl. Chem. 1(63), 141–146 (1991). 9. H.D. Martin, et al., Pure Appl. Chem. 71(12), 2253–2262 (1999). 10. C.L. Malmsten and Å. Lignell, Carotenoid Science 13, 20–22 (2008). 11. K. Sawaki, et al., Therap. & Med. 18(9), 73–88 (2002). 12. C.P. Earnest, et al., Int. J. Sports Med. 32(11), 882–888 (2011). 13. M. Ikeuchi, et al., Biol. Pharm. Bull. 29(10), 2106–2110 (2006). 14. W. Aoi, et al., Biochem. Biophys. Res. Commun. 366(4), 892–897 (2008). 15. M. Fukamauchi, Food Style 11, 1–4 (2007). 16. M. Ikeuchi, et al., Proceedings of the 21st Annual Meeting on Carotenoid Research (Osaka, Japan, 6–7 September 2007), p 17. 17. K. Nakagawa, et al., Br. J. Nutr. 31, 1–9 (2011). 18. A.M. Wolf, et al., J. Nutr. Biochem. 21(5), 381–389 (2010). 19. W. Aoi, et al., Antioxid. Redox Signal. 5(1), 139–144 (2003). 20. J.S. Park, et al., Nutrition & Metabolism 7, 18 (2010). 21. T. Shibaguchi, et al., Jpn J. Phys. Fitness Sports Med. 57, 541–552 (2008). What does a marathon runner think about when training?